Even after Bitcoin's meteoric rise in 2017, the underlying technology powering it and the resulting tidal wave of other crypto-currencies and tokens is still largely unknown. While people are becoming more familiar with terms like decentralization, consensus, and trust protocol, the average person remains in the dark about Blockchain's wide range of potential applications outside of Crypto-Currency. In this article, we hope to clear the air surrounding Blockchain and explain some of its potential use cases. First off, what is a blockchain? A Blockchain is a distributed ledger with an append-only record keeping functionality. 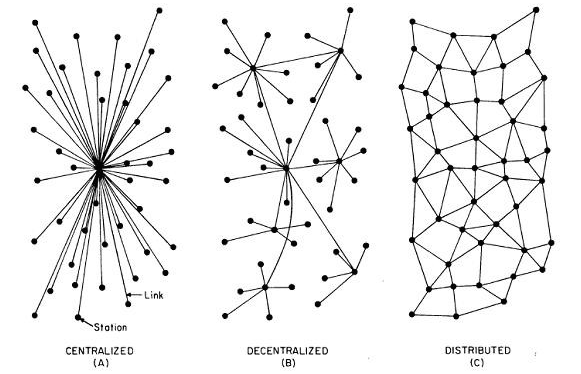 Rather than the information in a data base being stored on one computer, a Blockchain is stored on, and verified by, every single node within the network. Because of a Blockchains distributed, append only nature, it is more secure than a typical database with a single point of entry. If anybody wished to change information in a blockchain database, it would have to be verified by the entire network for the changes to be made. The mechanism of this verification is called reaching "Consensus". The way consensus is reached depends on the type of blockchain, with 1st and 2nd generation Blockchain's like Bitcoin and Ethereum using more energy intensive Proof-of-Work consensus mechanisms, and 3rd generation blockchain's like Cardano using more efficient Proof-of-Stake consensus mechanisms. Blockchain enables peer-to-peer transactions by shifting the trust from the parties involved in the transaction, to the consensus mechanism itself. But what makes Blockchain so revolutionary? With the advent of Blockchain technology, information can be sent to another computer with the sender unable to retain any of the sent information. For example, imagine sending an email to a friend, and once you hit send, that email no longer exists on your computer. The implication of this is the succession of the Internet of Information, with the Internet of Value. Bitcoin pioneered this technological feat, overcoming what is known as the 'Double Spend' problem (sending someone bitcoin, but the bitcoin you sent also stayed in your wallet). New Crypto-Currencies soon followed Bitcoin, but with solutions to their predecessor's network's challenges, which include ineffective Scalability, the potential for Sybil Attacks (where one party gains control of 51% of the Networks nodes, allowing them approved any changes they wish), and a slow, energy intensive network; all major hindrances for Bitcoin to ever be an effective method of exchange. So where else does Blockchain apply? The ransomware "Wannacry" cyber attacks on hospitals in Britain in 2017, were just one example highlighting hospitals Cyber Security Issues. The Health Care industry is the most frequently targeted by cyber attacks, with 164 threats detected per 1000 host devices, proving Health Care is a prime candidate for Blockchain Disruption. Blockchain offer's a much more secure solution for hospitals to maintain patient databases. Blockchain start up Gem is one of the first to begin tackling this problem. Blockchain Technology has applications in education at the individual, institutional, group, national, and international level. Blockchain has the potential to be used as a tool to store, issue, and verify certificates and degrees from institutions, enabling the recognition of credentials across borders. Sony Global Education has begun work on a new educational platform that uses blockchain to secure and share student records. Entertainers could turn to Blockchain technology to democratize the proceeds of their content creation. A 'Smart Contract' could automatically disperse the revenue from purchases according to pre-determined licensing agreements. Mycelia, founded by recording artist Imogen Heap, is a blockchain project aimed at exactly that. While Land title issues are very complex due to different international standards, Blockchain technology has the potential to help alleviate many of the challenges of land registry in the developing world. Economic Development typically involves a process of land-use change, but citizens in developing countries often lack access to the legal institutions that facilitate these changes. Blockchain would allow developing countries to "leapfrog" the infrastructure of the developed world, allowing the registry and transfer of land titles directly via a Blockchain. In April 2017, Brazils Real Estate Office announced it was working closely with Ubiquity LLC, and an Indian state Andhra Pradesh disclosed that is was working with Sweden – based Startup ChromaWay on a Blockchain land registry pilot project. Governments can use Blockchain to protect trusted records and simplify interactions with citizens. The government of Canada has begun a initiative with Blockchain start up Catena Blockchain suite, to publish funding and grant information in real, making government research grant and funding information more transparent to the public.